Who's Our Next BIG WINNER?! You Could Be Next! --- Big Winner Tom $99,999!! --- Big Winner Anonymous $37,500!! --- Big Winner David $25,894!! --- Work Group Big Winners $100,000!! --- Big Winner Rochelle $121,621!! --- Big Winner Roger $100,000!! --- Big Winner Gary $29,700!! --- Big Winner Joann $28,084!! --- Congratulations!! The largest operator of Las Vegas-style keno in the United States isn't on the coasts, it's in America's heartland. Since founding Big Red Keno in 1991, Greg Erwin has built the company up from a single Omaha location to five Big Red Restaurant & Sports Bars in Omaha, Lincoln, Fremont, and Norfolk. Live ball draws at four of the restaurants are broadcast to more than 240 satellite locations in eastern Nebraska. A portion of every keno dollar played is paid to the sponsoring city or county to fund community betterment projects and support local organizations. Since keno began, millions of dollars have been paid to support parks and recreation, local libraries, and human services, among other things. 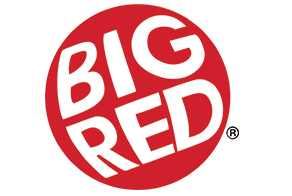 Henry Doorly Zoo, Nebraska Humane Society, YWCA, Heartland Big Brothers/Big Sisters and the Nebraska Council on Compulsive Gambling are just a few of the organizations that benefit from Big Red Keno.